I store batteries in a Pelican 1060 case. 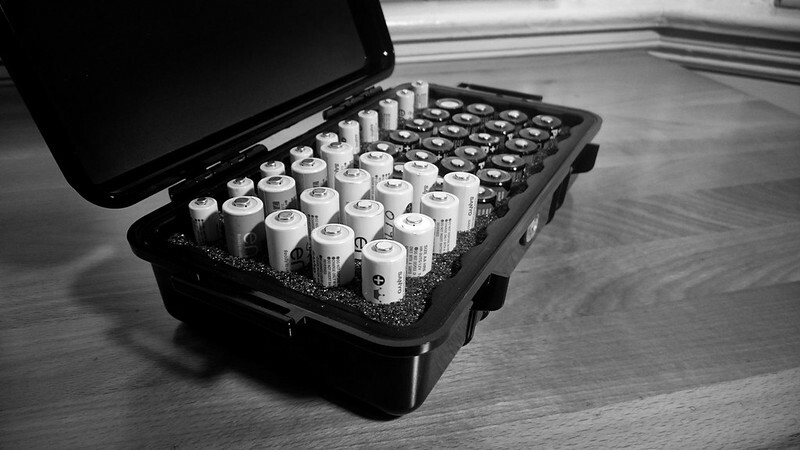 The Pelican 1060 plus pre-cut foam from eBay makes for compact and environmentally secure battery storage. The foam I bought has 10 holes for AAA batteries and 40 holes for CR123 and AA batteries. This holds the CR123 batteries I keep on hand to feed devices and all of my spare AA/AAA Eneloops. This post was published on 2015-10-18 . It was tagged with micro, gear, battery.